Looking to get bucked around on the water? The new O’Brien Bronco 2 is the perfect tube to fit that need! 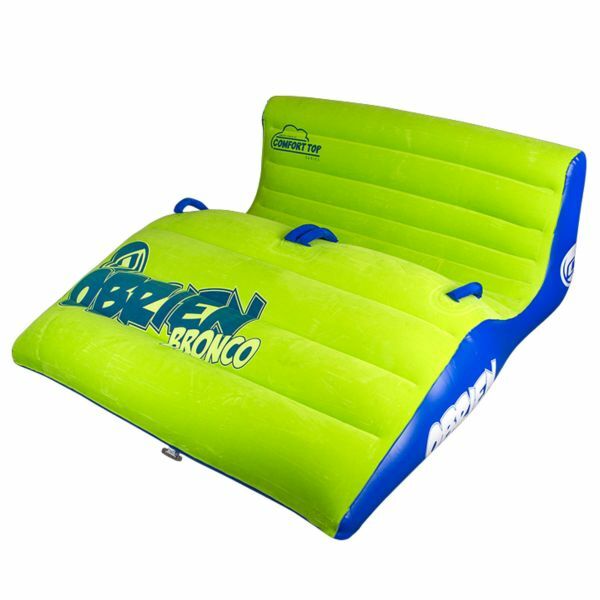 This super cushioned recliner styled tube will have you and a friend crossing wakes and skimming the surface for a thrilling and exciting ride. The plush fleece top is so comfortable that you’ll want to stay on this tube all day. So lean back, hold on tight and enjoy the wild ride of the Bronco! Towable tube is made from durable, heavy-duty 30-gauge PVC with radio frequency (RF) welded seams. Hook-ups are made easy with the thermoplastic urethane (TPU) quick connect tow hook. Inflation and deflation are a cinch with the patented lighting valve that lives up to its name. Kapcsolódó linkek "Bronco 2 tube"
Vásárlói értékelés "Bronco 2 tube"